2010 has been a rough year for our family. I say that because it started tough, and it's finishing tough. Certainly there have been blessings and good times and victories along the way, but there's also been a lot of dark storm clouds that seem to blow to the side for just a bit before they come back and whip up another hurricane. In an especially difficult time in one of my adult children's lives, they recently told me- "God gives me enough provision (aka hope, relief, sanity) to get me through one day. No more, no less." In thinking about that, I realized my child is living a quail and manna life- having just what they need for the 24 hours ahead of them, and knowing that it won't be enough to get them through tomorrow. God knows what you need for today - how much and how little. God has enough for you for tomorrow, too. 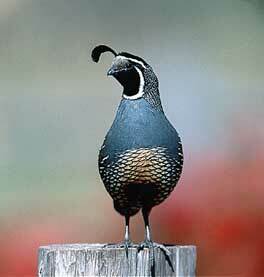 Trust Him to provide the quail and the manna. I like this post. I think a lot of people are surviving on quail and the manna just now. Hopefully we will learn something from it and count a few more blessings. Thank you for this post, Beth. I can certainly relate to what you've said, as these storms are very much present in my life, and the lives of many I know. It's a rough time for my generation especially, and I imagine your "adult child" is in a similar spot. Your insight definitely made me think. It's not easy, but we have to remember what is beyond our control, and we really have to take it one day at a time.